As festivals are about to start, most of us will be preparing murukku. 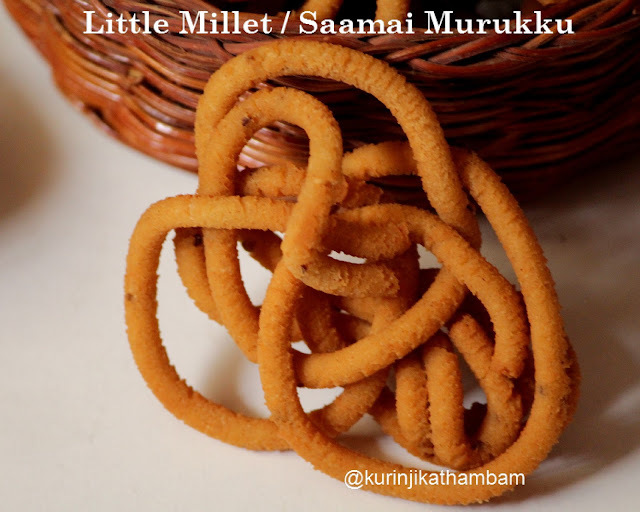 Why not try a millet based murukku in this season? 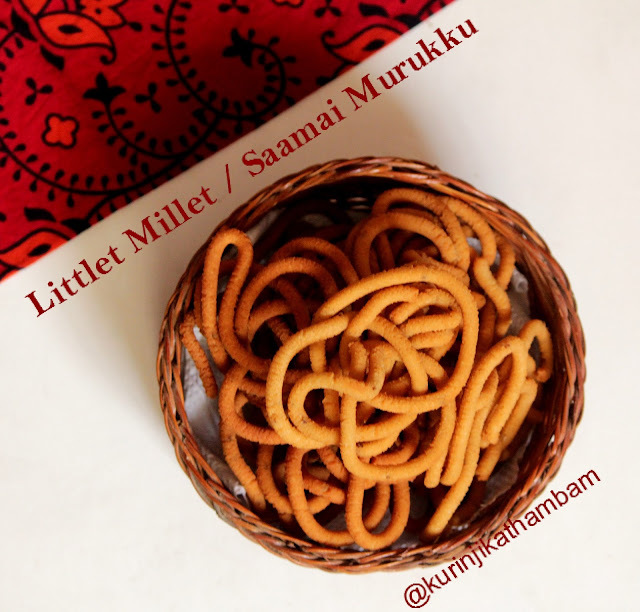 The saamai murukku recipe I tried came out well and is comparable to Rice Murukku. Just give it a shot! 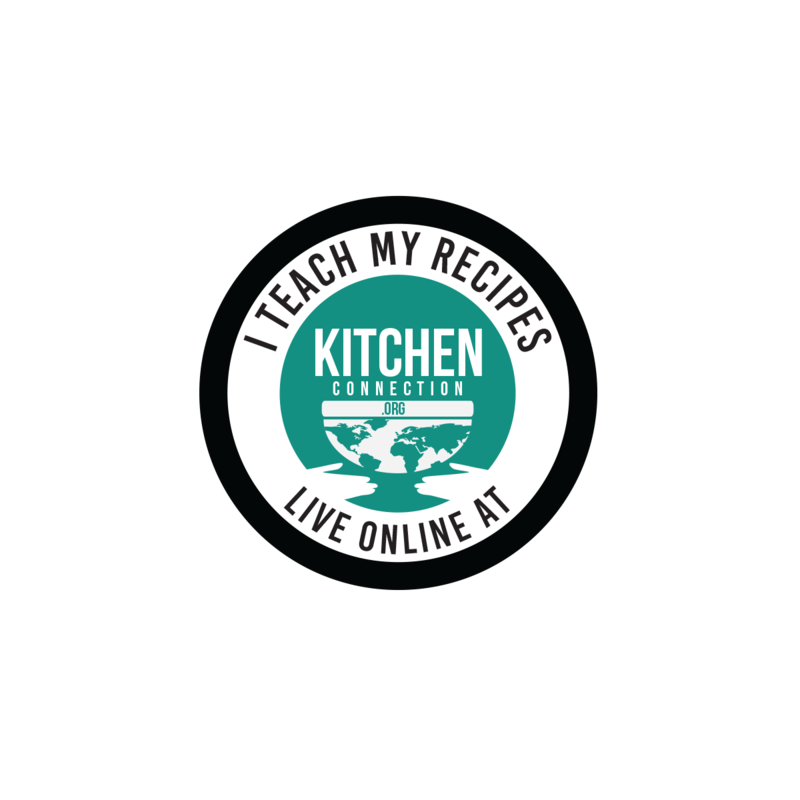 Preparation Time: 5 mins | Cooking Time: 15 mins | Yields: 13 nos. 1. 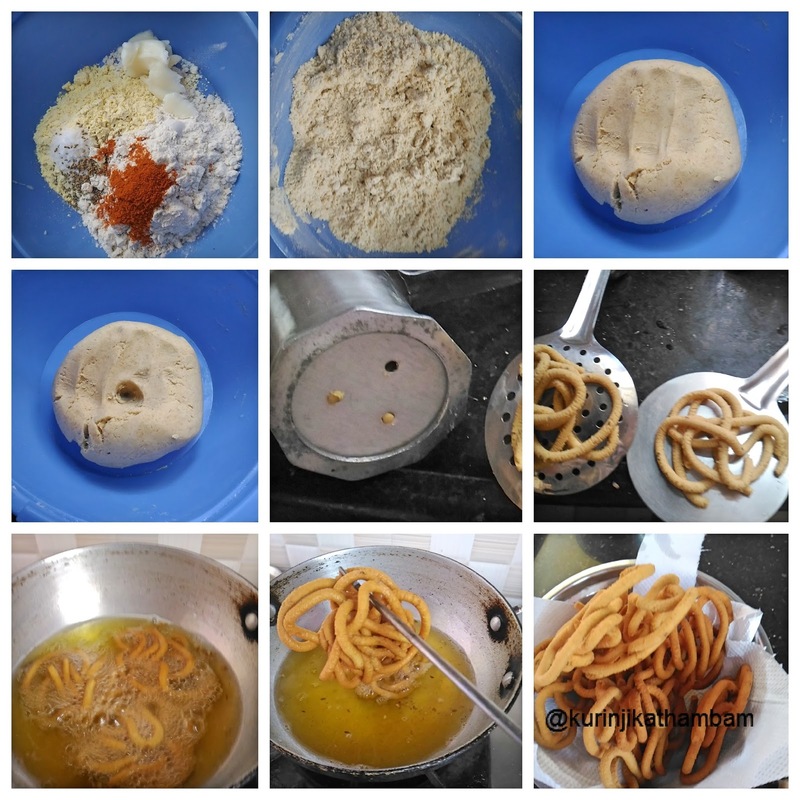 In a wide bowl, add little millet flour, besan flour, red chilli powder, ajwain, butter and salt. 3. Add water little by little and make soft and pliable dough. 4. Close the bowl with its lid and keep it aside for 5 mins. 5. Meanwhile, take the murukku press and choose the design as per your choice. I used 3 hole design. 6. Grease the murukku press with oil and fill the murukku press with dough till the ¾ of the press. 7. Press round shape on the back side of the ladle. I used 3 ladles for quick process. 8. Then heat the oil (for deep fry) in a frying pan till it becomes hot or put a pinch of dough into the oil. If the dough comes up immediately, then this is the correct stage of oil heating. 9. Now flip the ladle over the oil. After a min, flip the murukku and cook till the sizzling sound reduces completely. 10. Take them out from the oil and drain them using the tissue paper. Repeat this for remaining dough also. Allow it to cool down completely and store it in an air tight container for later use. Tasty and yummy millet murukku is ready. 1. Leave some time gap between the batches. 2. I grounded the little millet flour from the little millet rice without soaking in water with our neighborhood flour mill. A healthy alternative to the traditional muruku awesome !! !